Royal Ascot is one of the tickety boo, must go social events of the English calendar. From fine dining, to strict dress codes, this is as far away from common or garden horse races, or having a weekly flutter at your high street bookies as you can get. 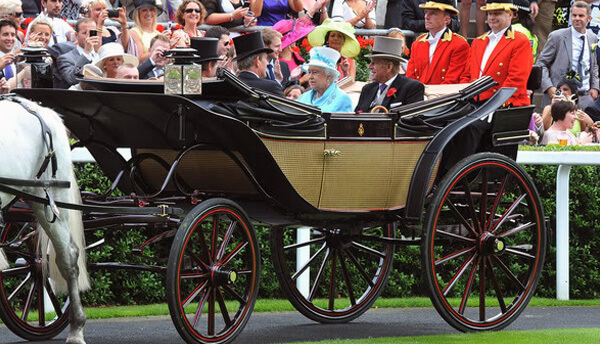 Royal Ascot has been attended by royalty for 300 years, and so it is an especially big deal in 2012, the year of the Queen’s Diamond Jubilee. Her Majesty the Queen arrives at Ascot each day by 2pm, ready for the racing to start at 2.30pm. Personally, I go to Ascot because I love the atmosphere, I’ve always loved horses, and I like to have a flutter. My lovely wife just likes to check out all the fabulous hats. 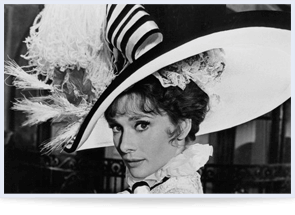 ‘My Fair Lady’ from 1964 is one of her favourite films, and when my own fair lady watched beautiful Audrey Hepburn, in the character of Eliza Doolittle shouting ‘Move Your Bloomin A*se!’ during the film’s Ascot opening day, her love of Ascot was decided. 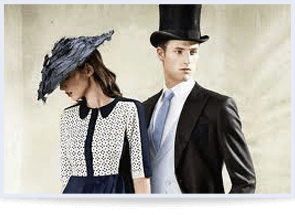 So goes the song from the film, and if you are into style and elegance along with a dash of sporting charm, then Ascot is for you. Always choose which part of Ascot to attend very carefully. The top of the range ‘Royal Enclosure’ will only admit members. To become a member, you must be recommended by an existing badge holder, who has attended Ascot for four previous years. Ladies must wear a hat or a head piece with a base of at least four inches, and dress modestly and formally. ‘Gentlemen’ (to quote from the Ascot website), ‘must wear black or grey morning dress’. Well I like to think I’m a gentleman, just like the next man, but what a palaver! The more accessible ’Grandstand Admission’ gives access to Big Screen TVs, a military band and a traditional sing along at the end of each days races, together with a ‘free song book’. Now that sounds more like it! Even here, ladies are required to wear ‘a hat, headpiece or fascinator at all times’! To commemorate the jubilee year, 1950’s style street parties are planned throughout the event in the ‘Silver Ring’ admission category. You also get Big Screen TVs and the dress code is more relaxed – though bare chests are banned! Well wherever you decide to sit, why knock the eccentricity of the English? It all makes for a great show, and if you’re into the thrill of the race, then Ascot is definitely the place to be. What better way to start your day at the races than with Mercedes Chauffeur Hire’s Royal Ascot Chauffeur Service?